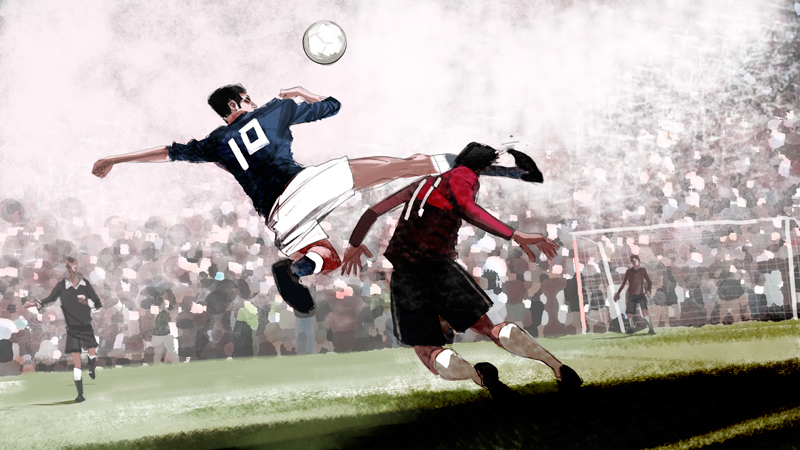 The Battle of Santiago : The infamous 1962 World Cup match between Italy and Chile, violence highlighted by the flying kick in the head. Concept art for a World Cup pitch. Digital. Went for a stylized approach to the drawing.